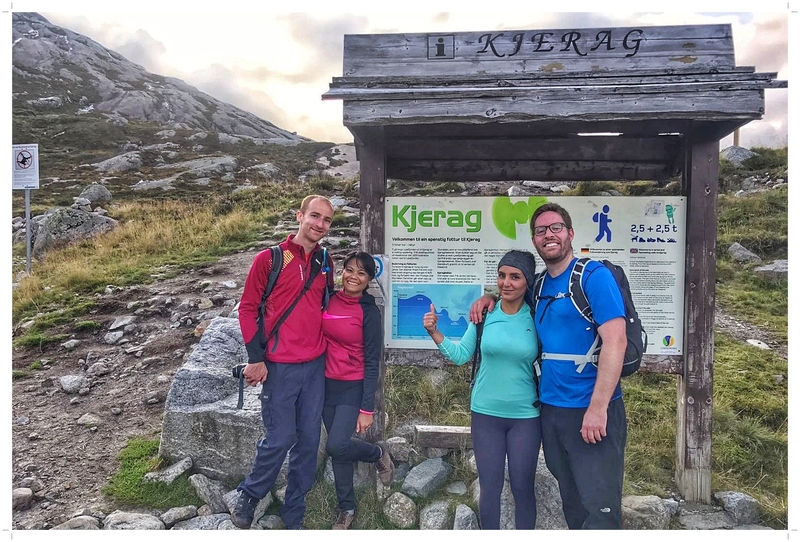 And a fulfillment of a long-time dream to conquer Kjerag! Not much preparation, to be honest. 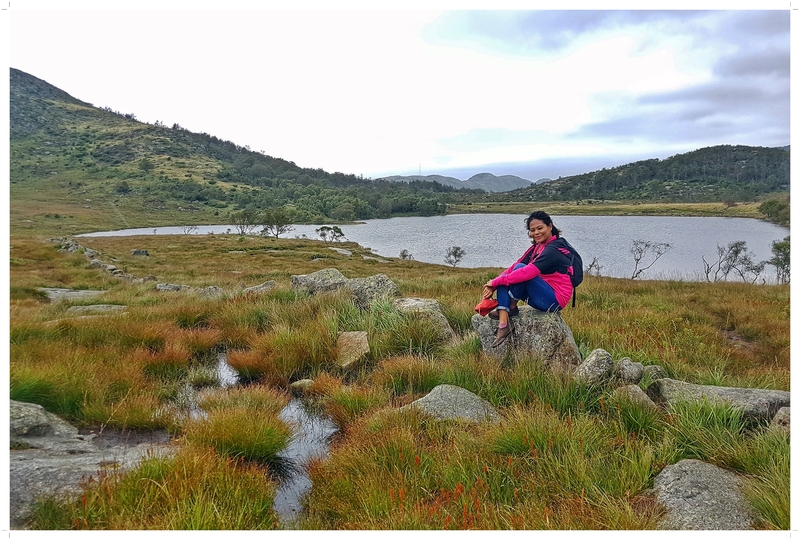 The past few weeks before the trip had been busy—work and personal matters at the same time have taken so much of my time, so there wasn’t any detailed itinerary for the trip. 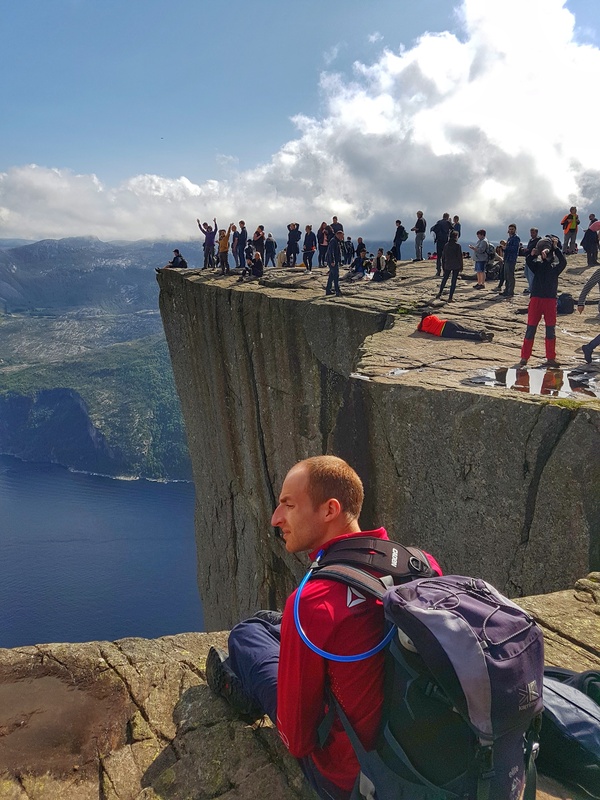 The only things I did were to read about the Kjerag Hike and to monitor the weather forecast. And what I wanted to ensure is that, within the 4 days, Phil and I should be able to meet our objectives (see above)—the rest will be weather-dependent. Tip: A trip to the Tourist Information Centre (TIC) is a great thing to do to be able to finalise plans, if you haven’t done much preparation. 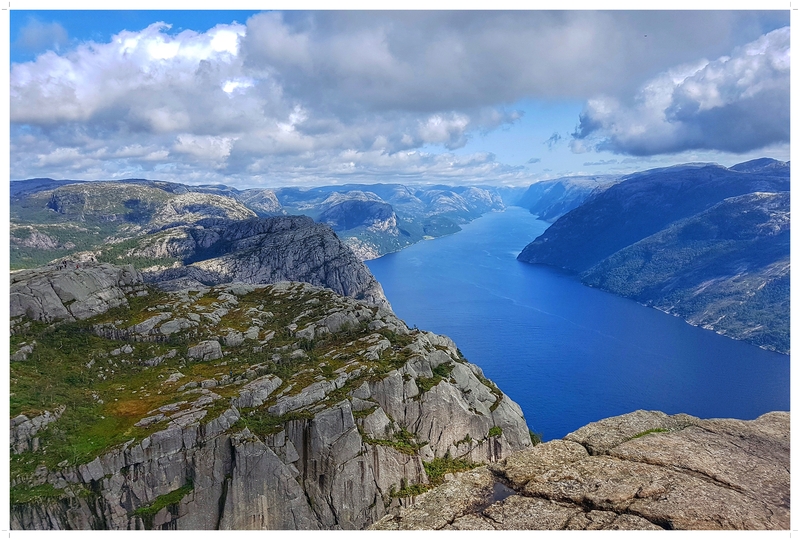 We also booked our ferry and bus tickets to Preikestolen while we were in the TIC, as well as getting timetable for Kjerag (which wasn’t needed later on—read further on below). And oh, we also booked an Airbnb accommodation way in advance of the trip! Here’s the property listing, which I highly recommend as it is very conveniently located! 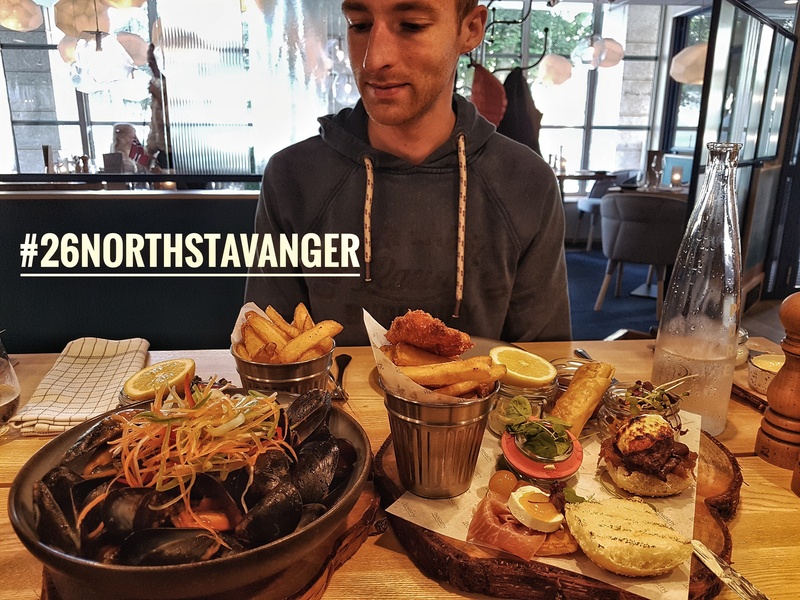 I highly recommend this place as the downtown is walking distance from the house, and so are the Tourist Information Centre and the Fiskepirterminalen (the pier where to get the ferry to go to Preikestolen). Get the Flybussen bus (just right outside of the Airport) going to Stavanger City Centre – more info here. We bought the ticket from the bus driver. And then just informed the driver to stop at Clarion hotel, in Lokkeveien. It’s like a 300m distance between the bus stop and the Airbnb property. We arrived in Stavanger and in our Airbnb very late on Thursday night, and just went straight to bed. However, while we were waiting for the bus (SVG Airport to Stavanger city proper), we were already trying to come up with a rough plan on how we are going to spend our 4 days in Stavanger—still constantly checking the weather forecast! 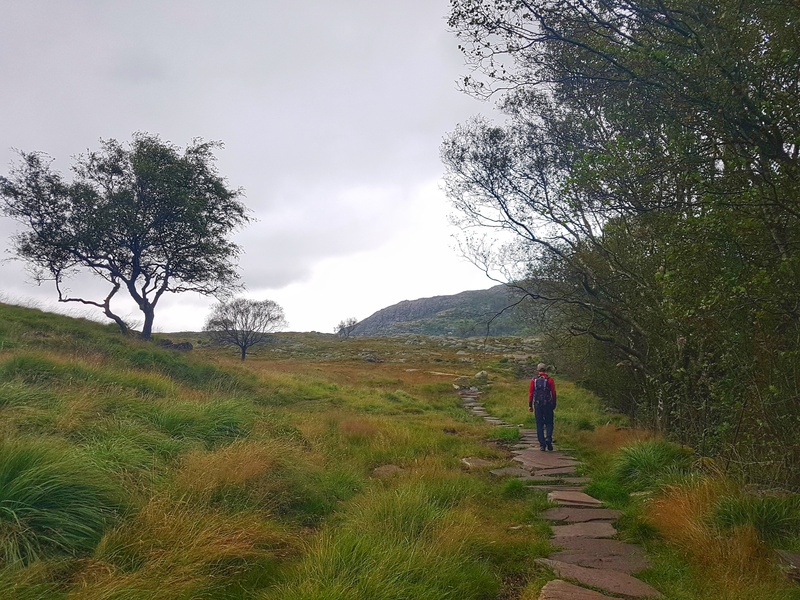 Tip: To be able to maximise your trip and not be disappointed, checking of weather forecast is advised so you can plan the best days to do your main hikes. 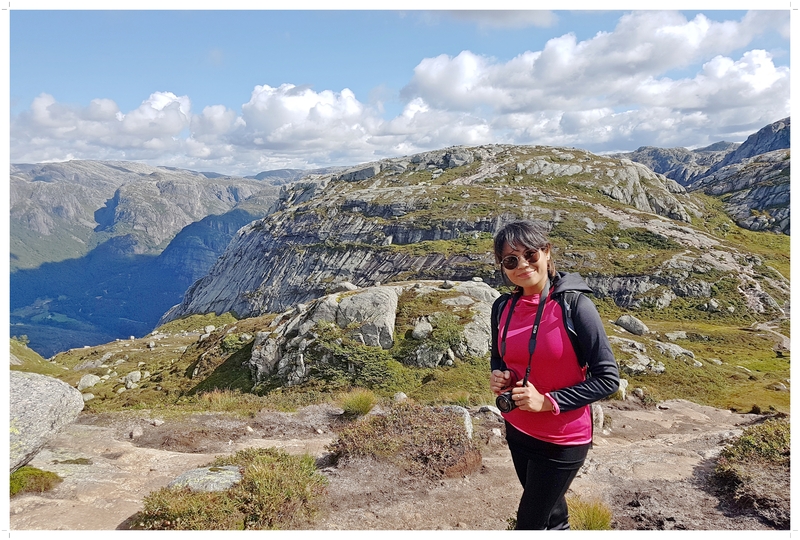 Here’s how we spent our 4 days in Stavanger and nearby hiking sites. As I have mentioned above, this isn’t the first time that I am doing the hike to Pulpit Rock; but the second time was as exciting as the first. Same trail, same terrain, just with a different person. I remember that it was a fairly easy hike, but I kind of forgot that the start of the trail was a bit steep; I underestimated it and ended up catching my breath despite having only walked for a few meters. But as we progressed through the trail, it was easy-peasy. 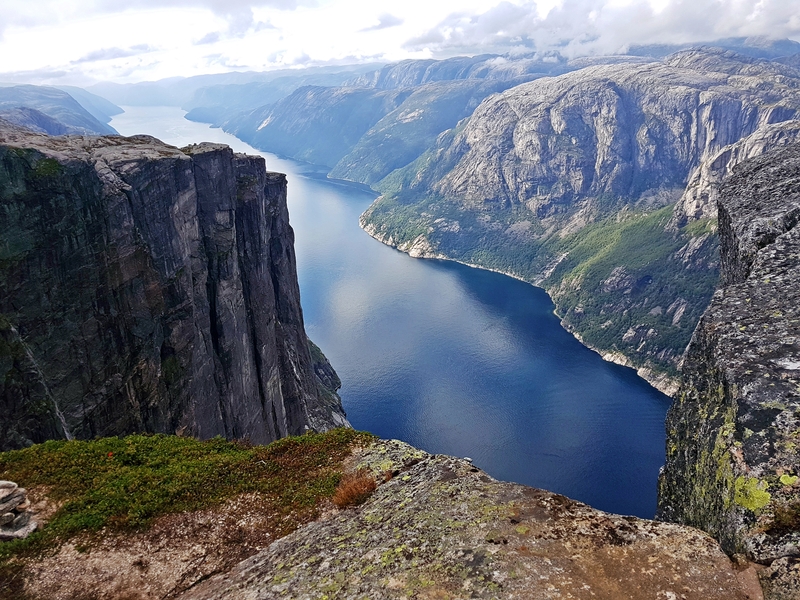 The vastness of space with boulders of rock, the cliffs with the fjords underneath, I am still amazed at those breath-taking views despite having seen them before! Arriving at the famous Pulpit Rock and as expected, the site was so full of tourists. 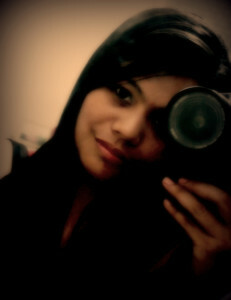 Phil and I were trying to avoid the crowd, so we just took a few photos (“few” is subjective by the way hahaha!). Phil and I had a bit of a misunderstanding which caused one to walk away and the other one not wanting to chase. Anyway, it was petty, so we carried on. 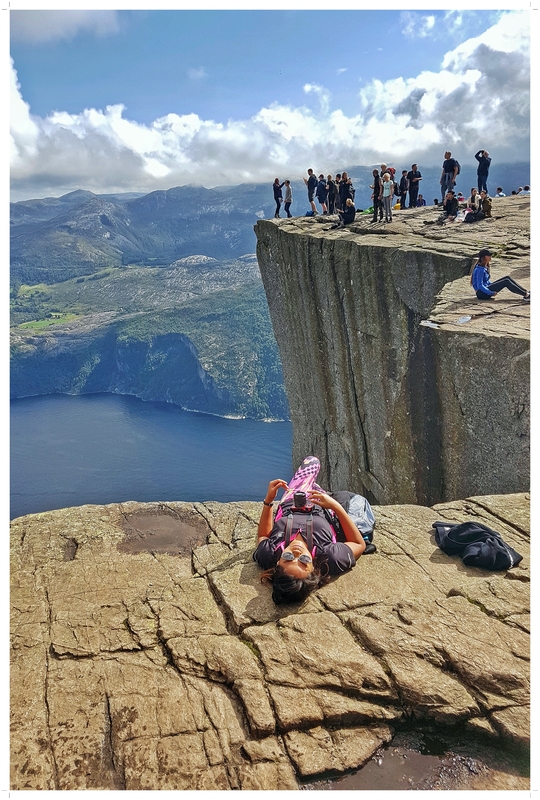 From April to September (peak season), there is a bus connection several times daily between Tau and Preikestolen Mountain Lodge. The buses correspond with ferries from Fiskepirterminalen in Stavanger. Out of season, you can go by bus from Tau to Jørpeland. From Jørpeland to Preikestolen Mountain Lodge you must go by taxi. It was rainy. We decided to take the second day as a rest day between the two hikes. And because it was raining, we opted to stay indoors most of the time, hence visiting 2 of the museums around the city centre—the Maritime Museum and the Petroleum Museum. To be honest, I am not really a museum-type of person so I can’t comment much about this part of the trip, hahaha! Actually, we started this day by visiting the TIC (again) to book for our trip to Kjerag – we were supposed to book for a bus tour and wanted to make sure first which day would be best for hiking Kjerag (i.e., not raining) but then when we were about to book, we found out that there are no more slots available on the bus!! 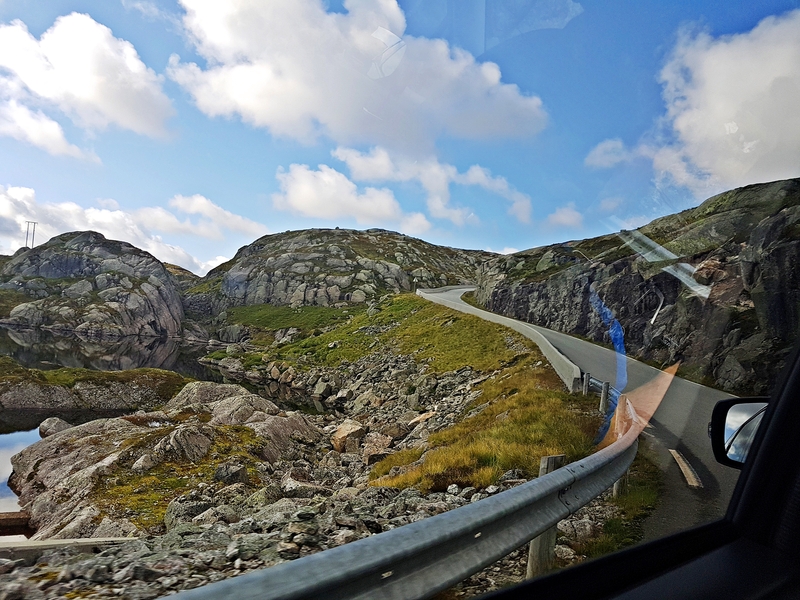 Hence, the only way we could go to Kjerag is to rent a car and drive. With the help of the TIC personnel, we tried phoning some car rental offices, but did not manage to find one. I was getting disheartened. 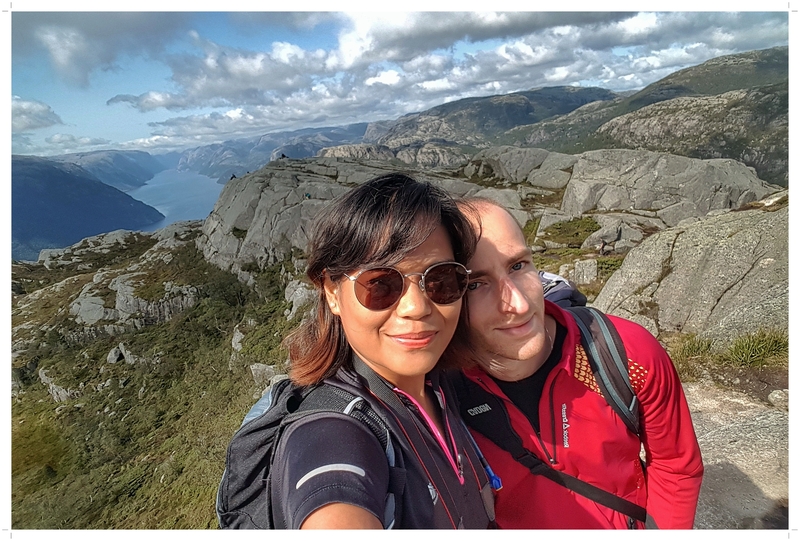 But then (blessing in disguise), there was another couple in the TIC counter that were driving to Kjerag the next day—and so the TIC receptionist suggested that we should collab and hitch a ride with them. 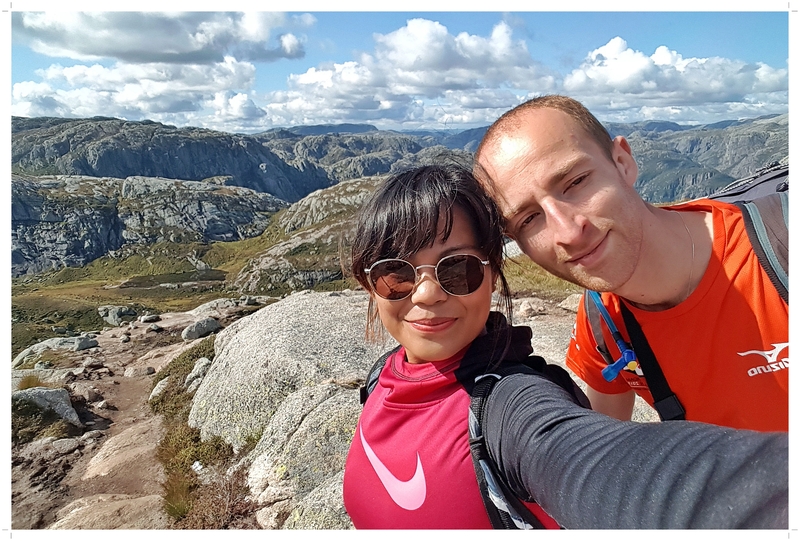 Thankfully, the couple was so kind enough to allow us to go with them to Kjerag! And so we exchanged numbers to later communicate and agree on meeting time and place. I was hopeful (although I still can’t help but worry about not being contacted again by them). But they were nice—Ella and Ryan. My favourite day! We started Day 3 by meeting up with Ella and Ryan at a nearby parking lot, as agreed the evening before. Glad that it was not raining that day—so hiking would be perfect, we thought. We were all geared up and dressed like true hikers, I think we were all excited to see Kjeragbolten (maybe imagining what poses we will be making while we are on it). 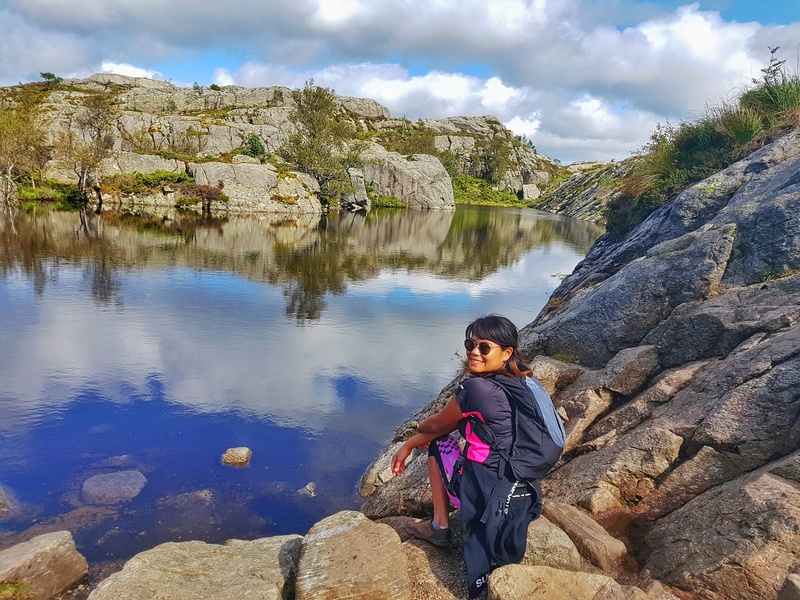 Note: I was so looking forward for the hike to Kjerag, having missed it the last time I was in Stavanger—mainly because we went to Stavanger in September and apparently it was already out of season hence there are no buses going to Kjerag. It was a long drive – like 2.5 hours, and Ryan did all the driving. It might have taken us 30 minutes longer as somewhere along the road, we were held stationary due to some road issues. I can barely remember, but I think it might have been that one side of the road was partially closed, hence we need to give way to vehicles coming into Stavanger. So we killed the time by getting to know Ryan and Ella—it was a good conversation! 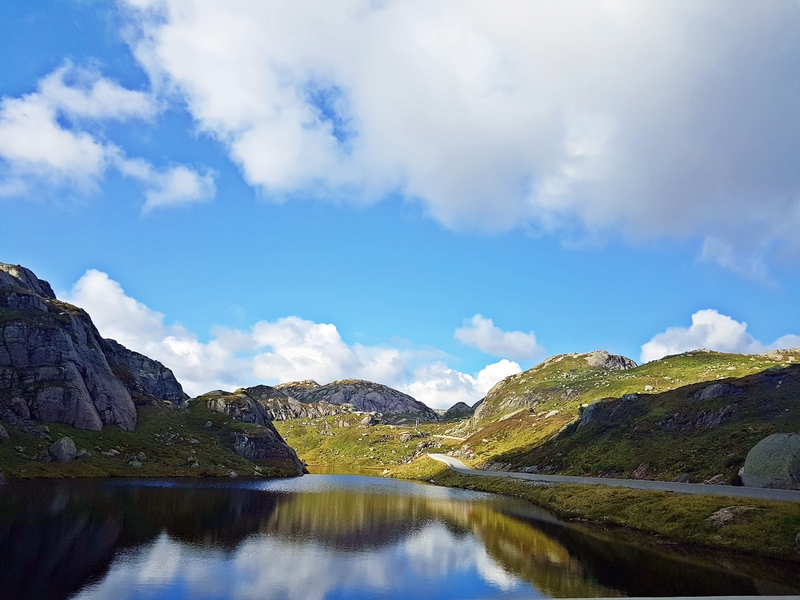 The drive to Kjerag was so scenic that we felt like stopping on the side of the road to take photos. But we didn’t and just continued driving along whilst we immersed ourselves in the picturesque countryside. What made us wonder though are the many cairns that we saw randomly placed on open spaces on the side of the road. To be honest, I have been trying to find out about what they mean or who put those there, but I couldn’t find the answer! Anyway, about the hike—I would say that it probably is one of the more challenging climbs that I did. I mean not on a level that we needed a harness; it was enough challenge that we had to cling to metal chains to help us go up and down the steeper slopes, and I had to use my hands and bum to help me in my descent. But all the challenge was worth it! The views were surreal—and I describe it as “Earth defined”. The greens and the blues and the shades of grey—it looked so dramatic, I wanted to cry! We had to queue to be able to step on the Kjeragbolten – hoping for a clear sky for a perfect background. It did get misty at some point that Phil, Ryan and Ella had to queue twice to step on Kjeragbolten! But the wait wasn’t that bad—we had our late lunch whilst we waited for the mist to go away. I wanted to do our classic #LetsGoEverywhereTogether pose (i.e., holdings hands, facing away from the camera hahaha), but then we don’t want to risk it! 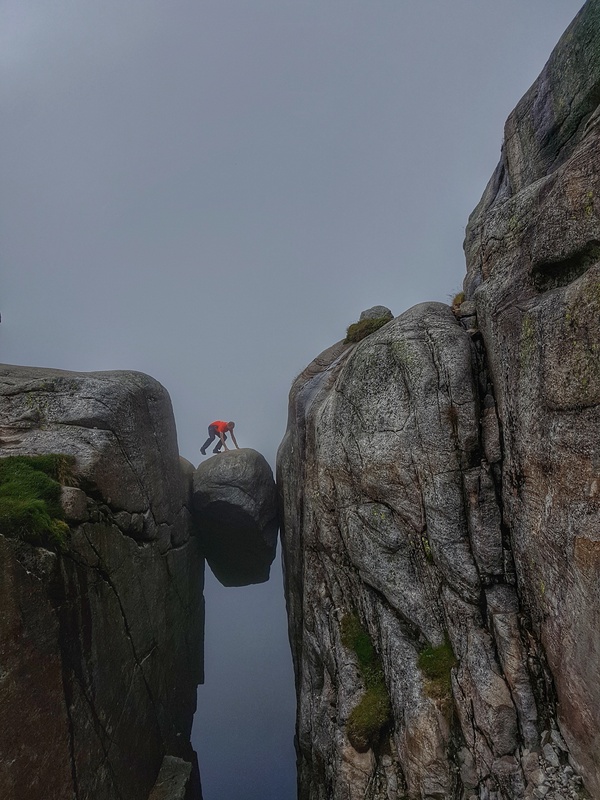 Kjeragbolten is a 5-cubic-metre (180 cu ft) boulder wedged in a mountain crevice by the edge of the Kjerag mountain (59°2′1.3″N 6°35′34.9″E). 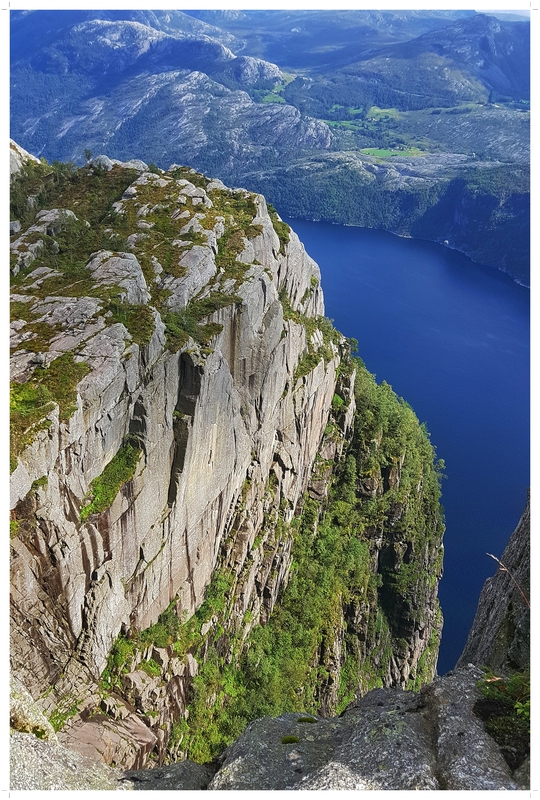 It is possible to walk onto the rock without any equipment, but there is a direct 241-metre (791 ft) drop below and then another 735-metre (2,411 ft) gradient down to the Lysefjorden. 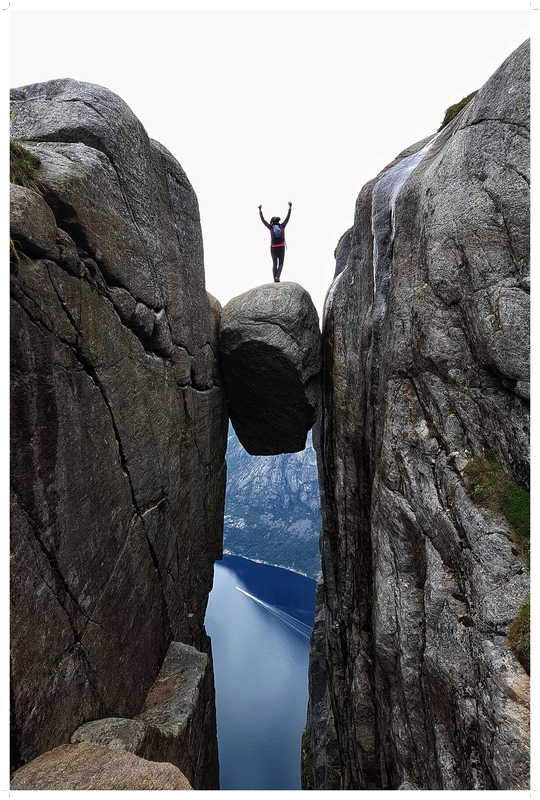 The name means “Kjerag Boulder” or “Kjerag Bolt”. 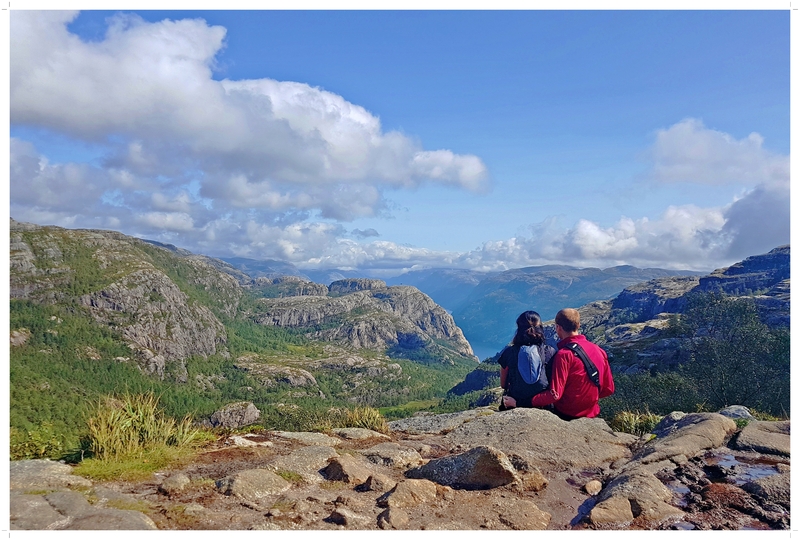 When we were done with the Kjeragbolten, we decided to explore more of the other side of the mountain and these are the fantastic views we got! It was a bit windy and started to get gloomy so we didn’t stay too long. We decided to start with our descent before we ran out of daylight. 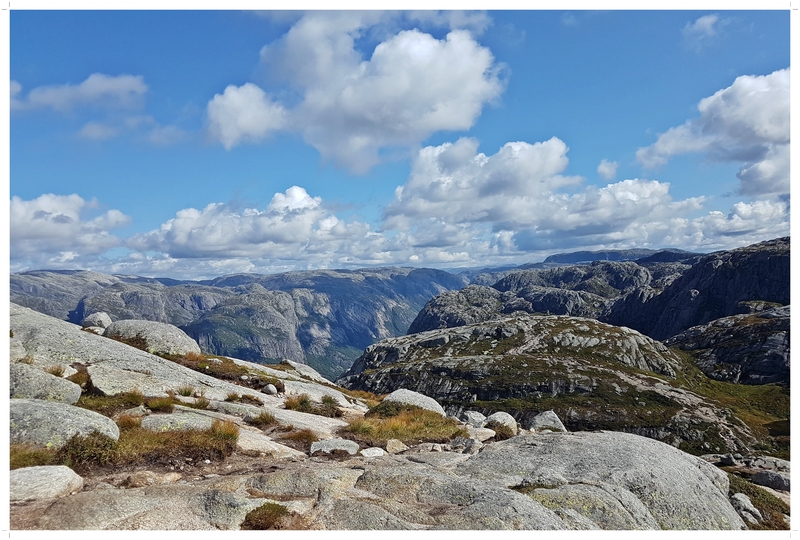 The hike back was quicker than our hike up Kjerag – mostly as we did not stop as much for photos. :) But would you blame us if the views are picture-perfect?! As mentioned above, we weren’t able to get a slot in the bus as we waited until the day before our trip. It was good in a way that we were sure of the day when we would have a nice weather for the hike—the down side was the stress of not knowing how to get there. :D But a trip to the TIC would be really useful! 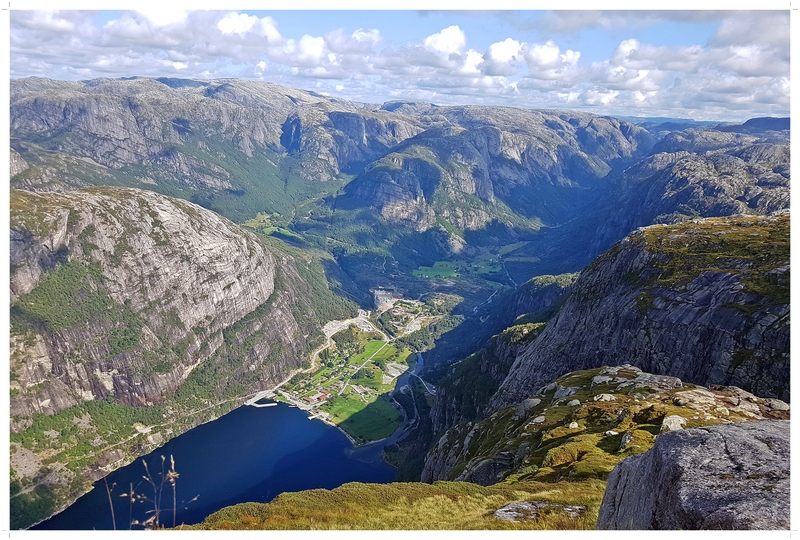 And I would say driving to Kjerag is the most convenient way to get there! 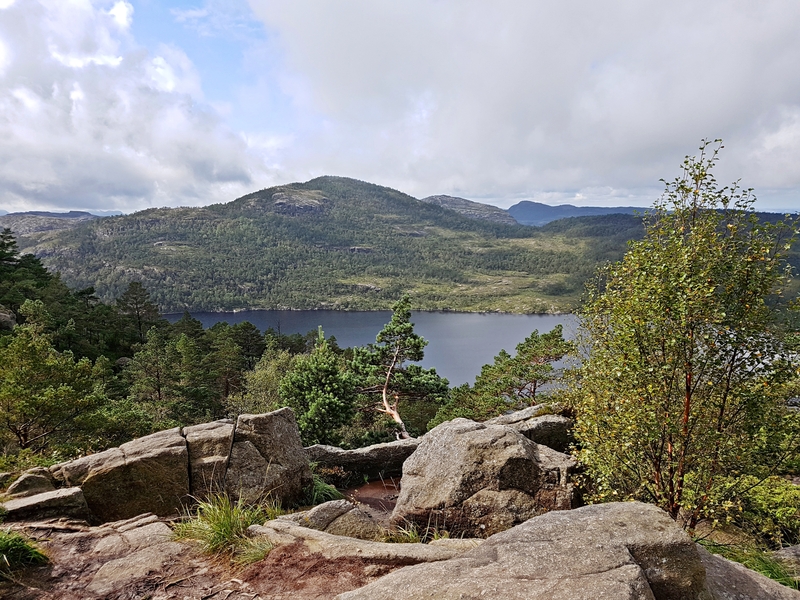 By Bus from Byterminalen in Stavanger (Provider: Tide Reiser) – The 13.5 hours indicated in their website would be the estimated total hours from traveling to hiking and getting back to Stavanger. By Ferry – There are two options. A high speed ferry serves the route from Stavanger to Lysebotn or a regular ferry from Lauvvik to Lysebotn. From Lysebotn you can walk or hire a taxi to take you up the twisted road to Øygardstøl. 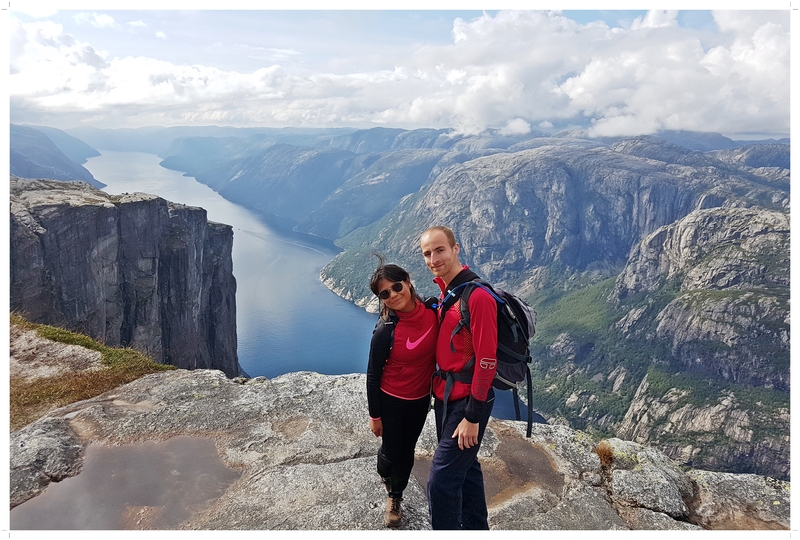 Enquire at the Lysefjorden Tourist Lodge for details. Day 4 and our last day in Stavanger before heading back to the UK. We know it’s going to rain, but we still planned to go out and do a bit of an easy hike. 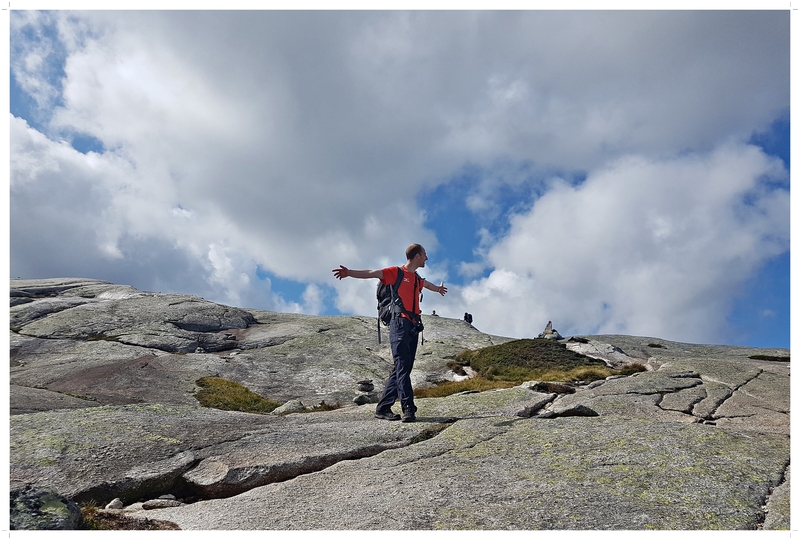 Again, we had to inquire at the TIC of any nearby places, and they suggested to do a hike in Dalsnuten. I’ve been around the area during the first time I was in Stavanger, but I can barely recall how we did the commuting. But then we had the TIC to the rescue! 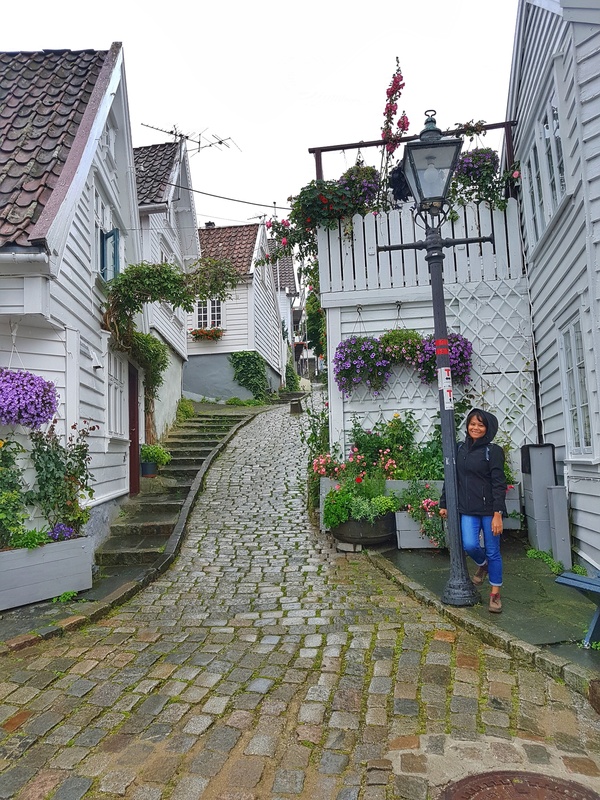 We had such an amazing holiday in Stavanger—albeit not cheap (it was kind of expected though). We were beyond amazed, my heart was full once again! 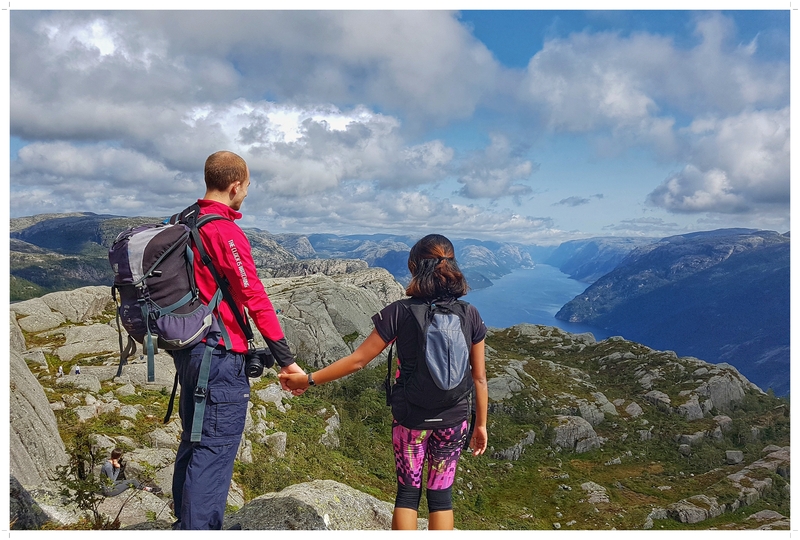 I’d still say, it is a good idea to go for a hike in Norway; its mountain and cliffs and fjords would never fail to leave you in awe. That’s the reason why it still remains to be among my top picks for nature-tripping. 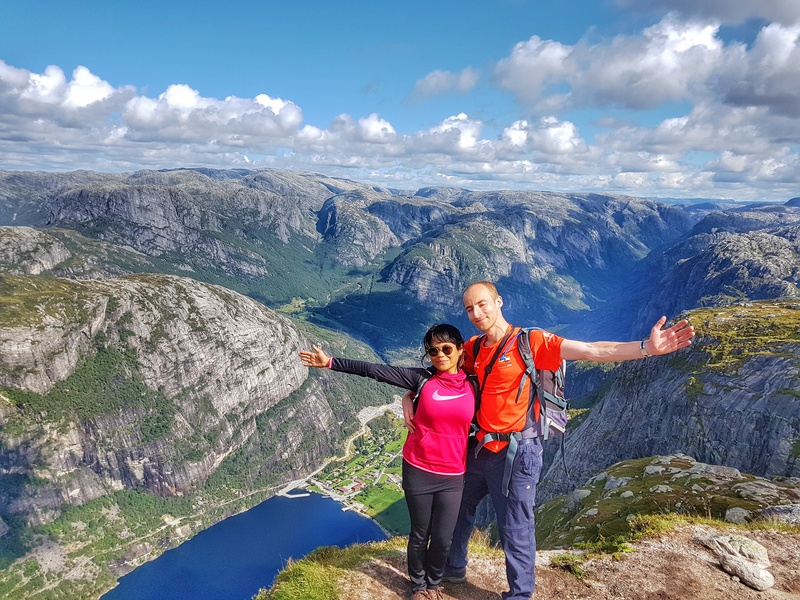 Post Script: Apparently you can hike Norway’s 3 most famous mountains (i.e., Preikestolen, Kjerag, Trolltunga) in 3 days. Here are some articles about it. So give it a go if you are up for this epic adventure! ← 2016: Moroccan Mountains – So pretty in white!